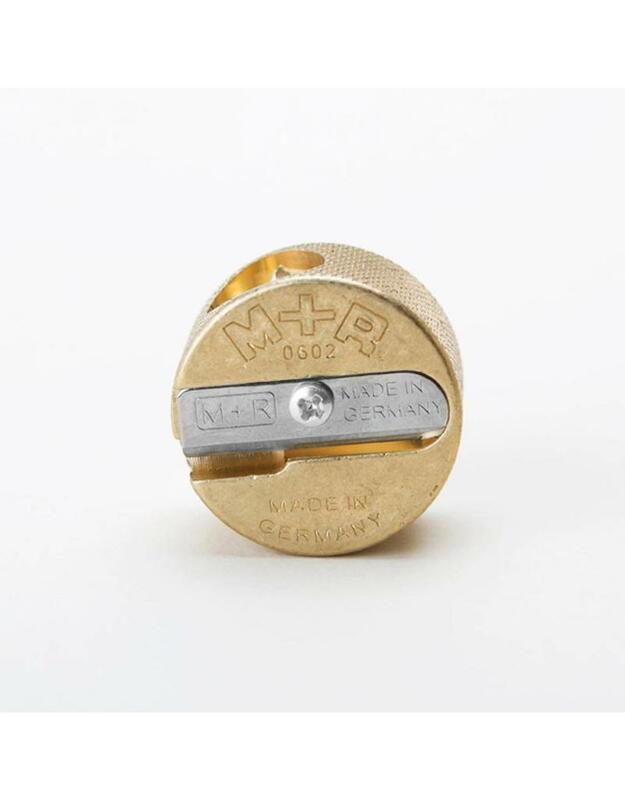 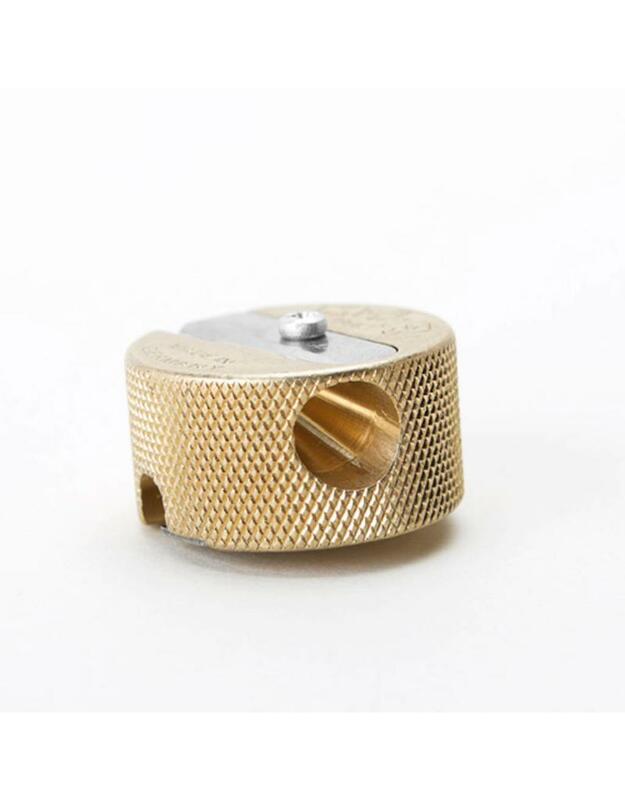 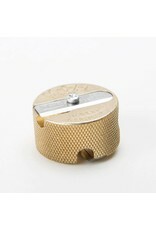 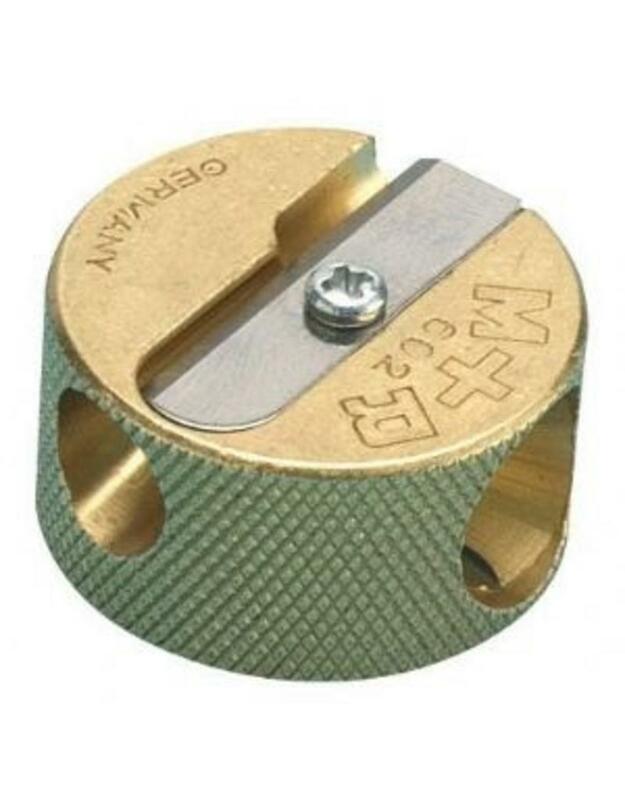 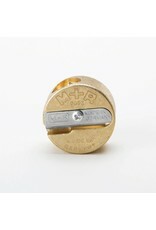 This solid brass sharpener is ideal for all pencils in the artist's sketch box including large diameter art pencils. 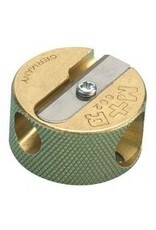 The small hole (7.8mm) is for a standard pencil diameter and point taper. 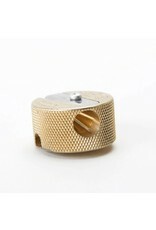 The large hole (11mm) is perfect for careful sharpening of charcoal, pastels and colored pencils.